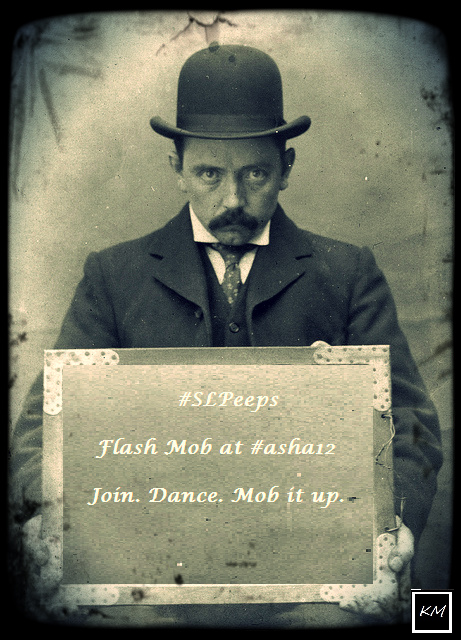 The shenanigans amongst the #slpeeps have been in full swing over in the Twitterverse. In the past few weeks, one big development has emerged which has me quite excited. Check out the original post by @atklingensmith over at speechieapps.com. Are we seriously doing this?? details please! I’ll be at the convention with a group of classmates from Stockton College of NJ! YAY! #asha12 Email atklingensmith @ gmail. com for the details. We are trying to keep the specifics quiet. There is a video for the dance moves, details on time/place, and lyrics/music to the song remake of “Call me, maybe”…It is going to be AWESOME!!!! Hope you and your classmates will join…even if you can’t dance, join in! Awesome, Gina! As Katie mentioned, definitely send me an email! Have any other classmates who would like to join email me as well! It’s atklingensmith @ gmail . com.